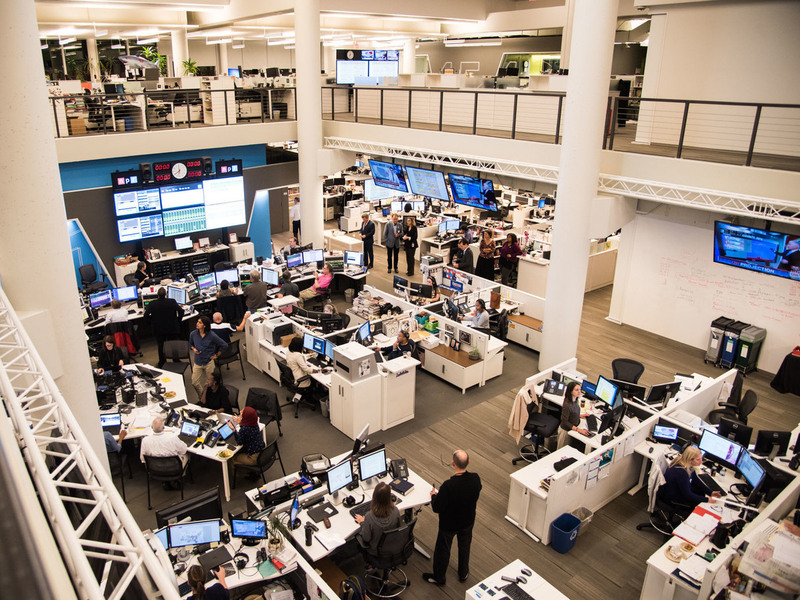 NPR Chief News Editor Departs After Harassment Allegations : The Two-Way "David Sweeney is no longer on staff," acting Senior Vice President of News Chris Turpin said in an email to staff. At least three female journalists have filed complaints against Sweeney. The email did not directly state the cause for Sweeney's departure. But this follows a formal internal review into his conduct, after three current and former NPR journalists made formal complaints against him. And it also followed greater scrutiny of the issue after revelations about Bill O'Reilly and the late Roger Ailes, both of Fox News, and prominent Hollywood producer Harvey Weinstein. In the aftermath of the Oreskes revelations, NPR leadership has encouraged people who were subject to inappropriate behavior to come forward and is working to make the process of reporting harassment more transparent. It has also sought to strengthen protections for accusers. As NPR has previously reported, one former NPR producer said that Sweeney unexpectedly kissed her in an encounter in 2002 while they were in a car on loan for a story. In 2007, an NPR journalist said that Sweeney attempted to kiss her when they went out for drinks to discuss her career. The two journalists spoke on condition they not be named. A third journalist, NPR editor Lauren Hodges, said that Sweeney repeatedly made her the recipient of unwanted attention and unsolicited gifts while he was her supervisor in a way that made her deeply uncomfortable. In an emailed statement on Tuesday after NPR's announcement, Hodges said she was pleased with the outcome. "I hope it provides a loud, clear message to anyone struggling with harassment...and more importantly, to those who think they can get away with it," she wrote. Sweeney could not immediately be reached to respond to Turpin's announcement. This story will be updated with his comment.